Fellows International has achieved accreditation to the ISO9001:2015 standard, highlighting the company’s commitment to the highest levels of service and customer satisfaction. As the latest version of the international standard, ISO9001:2015 certifies that an organisation has a Quality Management System (QMS) that consistently provides customers with products and services of a high quality. Achieving the award through a rigorous external audit, Fellows was assessed against a number of quality management principles including its strong customer focus, motivation and implication of top management and process approach. 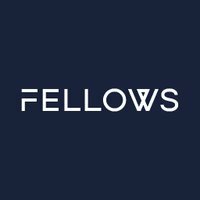 As a result, existing and potential clients alike can be assured that Fellows is proven to put the quality of its services at the heart of everything it does and that systems are in place to ensure this high standard is maintained.